The U.S. Department of Energy Solar Decathlon 2017 team from HU University of Applied Sciences Utrecht, Netherlands has developed the design of their modular, eco-friendly home, called Selficient, around the concept of a fairly well known toy: LEGO. Using the wall panels as “blocks,” homeowners can tailor a house to fit their needs. Panels can be added to expand the house or removed to scale it down. 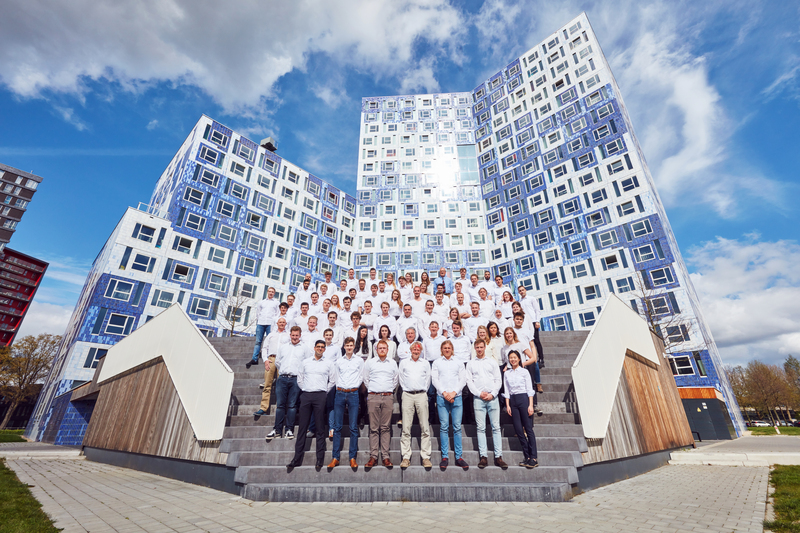 On top of the modular house design, the Netherlands team tapped into the burgeoning “Internet of Things” industry by connecting heat, water, and other home systems to the owner’s smartphone. This way, the homeowner can easily monitor and regulate the settings from anywhere. The Netherlands team is inspired by the circular economy and a strong belief that people of all financial means should be able to live in a sustainable home. Our current linear approach uses resources to make products that are disposed of as waste and not recycled. In contrast, a circular economy seeks to emulate the cycles of the natural world, where energy comes from the sun and wastes are recycled into new resources. This approach requires a non-compostable product to be designed so that the materials used to make it can be reused at the end of its useful life. Selficient, with its panelized structure that can be easily reconfigured, and its reliance on renewable energy, demonstrates how a home can be endlessly recyclable while adapting to occupants’ needs at every stage in their lives. Movable, modular walls allow for customization, and the ability to expand the size of the house or make it smaller. A battery and inverter system act as the smart battery for the house, storing energy produced from the solar panels, protecting the house from outages, and returning power to the grid when there is excess. A smart home automation system controls many of the home’s systems, including heating and cooling, ventilation, water heating, and energy storage. Two-dimensional modular construction, consisting of standardized wall, floor, and roof elements are connected to a frame with releasable connections. Standard measurements create a grid to allow for easy home customization. Smart panels can be reused multiple times and manufactured affordably. A greenhouse regulates interior temperatures. Selficient is designed for “Doorstromers,” or those in a transitional stage of life. This demographic includes individuals or couples who are already living in their own first apartment or house but are considering starting families. Since 2008, demand for houses by Doorstromers has steadily increased, and by 2015 more than 60% of houses were sold to this market. Netherland’s research shows that the Doorstromers want to contribute to the European Union 2030 and 2050 climate goals and become part of the energy transition. Unfortunately, most of the houses currently offered on the Dutch housing market are not affordable, so Doorstromers often can’t afford to make additional investments to improve energy efficiency. That’s where Selficient comes in, providing a cost-effective housing solution with already incorporated sustainability and renewable energy-efficiency features. The healthy interior living environment of Selficient also resonates with the Doorstromers, who want to provide safe and healthy surroundings for their children. Elderly people looking to downsize represent another potential market for these homes. As their needs for space go down, they can reduce the size of their existing Selficient home and sell Selficient panels to other homeowners looking to add on to theirs. The Netherlands team plans to build revenue by offering a high-class, technologically innovative solar house to Selficient’s early adopters. The profit generated from the sale of these modular homes will be reinvested in research and development to decrease production costs and offer different, more affordable versions of the house. Selficient will reside in Utrecht Park, but the team is also looking to explore the possibilities of the house as a prototype with commercial potential.